A romantic rose gold electroplate heart bead, with a keyhole design. Discover all the ways to express yourself with one of a kind jewellery that reflects your life and experience. Chamilia jewellery is as unique as you are. SWAROVSKI is a registered trademark. 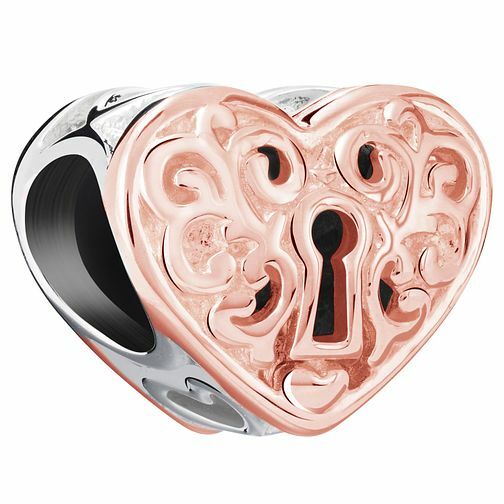 Chamilia Rose Gold Electroplate Keyhole Heart Bead is rated 5.0 out of 5 by 1.